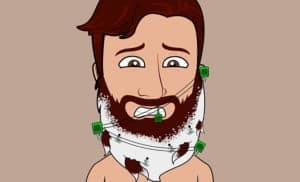 So You Want to Grow a Goatee? 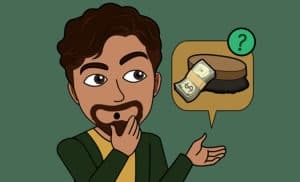 Hands down one of the most popular facial hair styles for college students and business professionals alike, the goatee is one of those timeless classics that seems like it will never go out of style. Still, while there’s no doubting that the goatee is the go-to for men from all walks of life, knowing how to shave a goatee properly can mean the difference between looking like a star or something altogether less flattering. Of course, the first step towards achieving the right look is to understand the variety of goatee styles and which ones work well with what shape of face. Be sure to also check out our articles on the best beard styles and best black men beard styles for other options. In the real sense of the word, a goatee refers refers only to the small patch of hair on your chin. A true goatee style means shaving off the mustache and any hair that extends past the corner of the mouth, but in reality this style really only suits a small portion of men. So, for our purposes, we’re going to include other similar styles on this page, such as the Van Dyke and circle beard, as learning the basics of how to trim a goatee can help guide you on your way to achieving any of these other popular goatee styles. 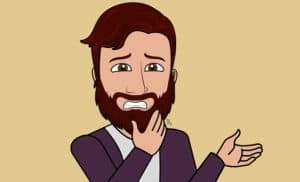 Before we can get into how to shave a goatee, its first necessary to look at the various goatee styles to give you a better idea of your range of options. #1 True Goatee. As we said, a true goatee refers to only keeping a patch of hair below your bottom lip—whether it be just a small circle on the chin or a full goatee with straight sides that reaches up to (but not past) the corner of the mouth. #2 Circle Beard. When most men picture a goatee, we’re willing to be that most actually think of a circle beard. 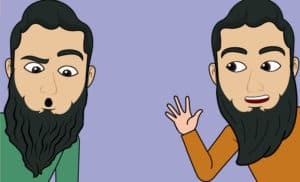 In styling terms, the circle beard is basically a standard goatee plus a mustache, where there is a full unbroken circle of hair surrounding the mouth (hence the name). #3 Van Dyke. The Van Dyke is another goatee style that is quite similar to the circle beard and is a great choice for those men who want a goatee, but have the issue of their facial hair not growing in fully. Made popular recently by celebrities like Johnny Depp, the Van Dyke is similar to a circle beard in that it’s a combination of chin goatee and mustache, possibly also with a soul patch (the little circle of hair directly under the center of your bottom lip). 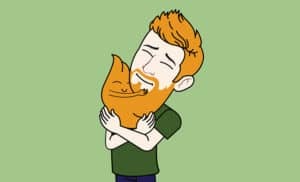 However, unlike the circle beard where all parts are connected, the mustache and chin hair are not connected in a Van Dyke, which is why it’s a good choice for men who have small gaps in their facial hair. #4 Anchor Beard. Although it’s probably not technically a goatee, we’ve included the anchor beard here due to the fact that its basically an elongated version of the Van Dyke. Where the Van Dyke keeps the hair confined to a small part of the chin, the anchor beard lets it grow out further along the jaw, usually about halfway. The reason its called an anchor beard is that the combination of the mustache, soul patch and wider goatee is supposed to resemble the look of an anchor. Don’t just take our word for it, check out all the other glowing unbiased user reviews here. 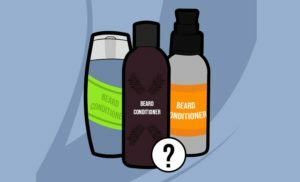 Deciding which goatee style looks best comes down to a few important factors, such as the shape of your face, the length and fullness of your facial hair and what look you’re trying to pull off. Just like not all men can pull off or look good in a full beard, not all goatee styles are right for everyone. The true goatee was a favorite of the beat generation and continues to be popular with many younger men. However, if we’re being honest, the true goatee is not always the most fashionable or stylish look around, and as such, is probably best left to the younger crowd. On the other hand, goatee styles like the Van Dyke and circle beard offer a bit more classic style and can usually look great on nearly any shape of face. For professional men that want facial hair but are unwilling to go for the bearded look, a circle beard is probably the next best option. It can help frame your face and mouth, offering a bit of added class and style, without looking too unruly or being overly difficult to maintain. In terms of style, we’d probably put the Van Dyke somewhere in between the true goatee and the circle beard. While it may not be quite as professional looking of a style as the circle beard (depending on your facial hair), we find that it still offers a bit more fashion sense that the true goatee (provided you can grow a good enough of a mustache to pull it off), but also an added touch of ruggedness when compared with the circle beard. All that being said, finding the right goatee style usually requires a bit of experimentation, which is why we’d recommend starting off with the circle beard if possible. 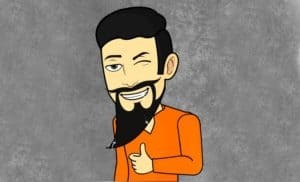 The only way to know how a goatee will look on you (or how any other facial hair style will look for that matter) is to let your facial hair grow until it reaches a decent length, then begin the process of shaving, shaping and trimming until you’ve arrived at the style you look best. There’s really no end to the number of different goatee styles you can experiment with, especially when it comes to the width of the goatee itself. Some men prefer to keep just a small circle of hair on their chin, whether they’re going for a true goatee or a Van Dyke, while others trim both the goatee and mustache into a pencil thin line (sometimes called a pencil goatee and often a popular choice among black men). Still, there are other men who prefer to go for something much wider such as the anchor beard. Basically, the width and length of a goatee is a matter of personal preference, so don’t be afraid to do a bit of experimentation. That being said, men with a pointy chin or a longer face are usually best served with a wider goatee, as it can help lessen these effects, whereas a small chin goatee can really exaggerate the issue. Like any other facial hair style, the first step towards growing a goatee (or a circle beard or Van Dyke for that matter) is to stop shaving—simple as that. Many men make the mistake of attempting to start shaving or styling their facial hair from the very first day, assuming that the best way to shape a goatee is from the get go. 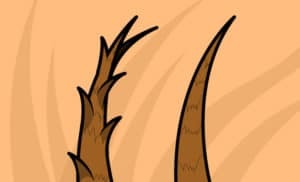 However, going for a goatee with only a day or two worth of whiskers will both look quite silly and also make it much more difficult to achieve the right look, as you simply won’t have so much room to maneuver. So, if you want to try out one of the various goatee styles, the first thing is to put the razor away for a few days until your facial hair begins to fill in completely. Once you’ve got the easy part out of the way and your facial hair is at a workable length, you can then begin by using your beard trimmer (minus the guard) to remove all the hair on your cheeks, neck, etc., paying special attention not to get too close to the goatee itself yet. 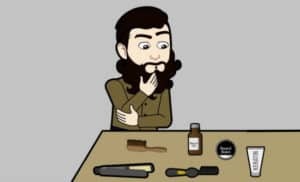 A quality beard trimmer is truly a must for shaping, styling and trimming a goatee, as there’s simply no way you can do it properly with a razor. 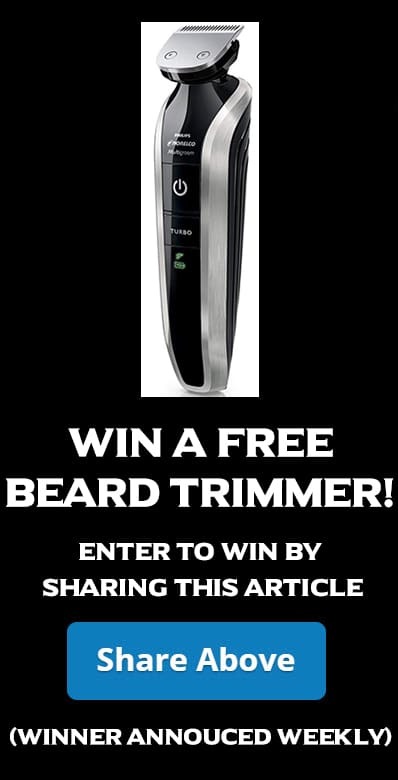 So, if you don’t yet have one, check out our article on the best beard trimmers so you can get one while waiting for your hair to grow. Once you’ve got the rest of the hair out of the way, you’ll start to be able to get a better idea of how your goatee will look. So, the next step is to use the same full trimmer and begin carefully sculpting the shape of your goatee—whatever that may be. At this point, don’t worry about getting the shape perfect, as this will be done with the precision trimmer in the next step. Once you’ve got the general shape, take the precision trimmer and begin touching up the sides and bottom of the goatee. Just make sure to be very careful with this part, as your goal is to create perfectly defined lines and any little slip could have disastrous consequences. By this point, your goatee should basically have fully taken shape and all that’s left is to finish it all off by shaving the rest of your face with a razor or electric shaver. If using a razor, we recommend either using shaving soap (beginners guide to using shaving soap), shaving gel, or wiping off the shaving cream on the goatee itself so that you can easily see the lines and don’t end up shaving part of your goatee off. For suggestions, check out our articles on the top shaving soaps and first-rate shaving gels. It may take you a bit more time to shave at first, as you’ll want to be extremely cautious when shaping the edges of your goatee, but you should quickly get the hang of it and know exactly where to shave and where not to. 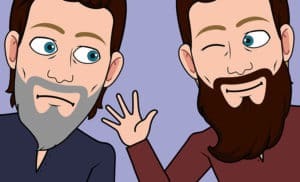 The actual amount of trimming you’ll need to do will depend on the style you’ve chosen, the shape of your face and the length of your facial hair. Since most of the actual shaping and trimming will be done with the beard trimmer and razor as we’ve just covered, we’re only going to focus on trimming the goatee for length here. If you’ve got a good beard trimmer, this part is simple, as all you need to do is choose the correct length of guard and trim away. For most men, we recommend starting out at around 5mm, before then moving down until you’ve got it as short as you want. It’s always best to start long, as this gives you more to play with and ensures you won’t suddenly take off too much and ruin all your hard work. And always be sure to keep your beard looking healthy with a quality beard oil or one of the finest beard balms. Prim & Prep Editors are a team of male grooming experts in their respective fields, including Karl Schmidt (Beards / Facial Hair), Ben Rose (Shaving / Body Grooming / Skincare), and Ethan Stone (Men's Style). Their work has been featured on many prominent men's publications including AskMen, Men's Health, and GQ. Be sure to check out the review process for details on Prim & Prep's product review methodology or contact them below. I am able to pull of a good amount of goatee style except for the van dyke for some reason. I’ve tried it but it looks fairly ridiculous on me. At first almost all of these styles look odd on me. I read your guide on the best beard trimmers (https://www.primandprep.com/best-beard-trimmer/) and grabbed the Norelco right away. I must say, that was an incredible suggestion. It really helped make goatees look much better. After reading this post and this one http://www.noblegrooming.com/blogs/dapper-daily/144976967-different-goatee-styles-for-men today, I decided that trying to grow out my goatee would probably look a bit too goofy. I think I’m sticking with the standard goatee, and may occasionally go with the circle beard when I’m feeling the need for a change. 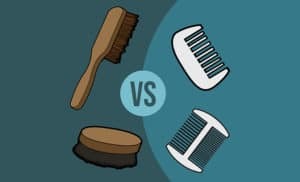 Beard Brush vs Beard Comb (Which One is Best for Your Beard?